Most of us have a good idea of what we like to read, whether that's YA fantasy or science fiction, comedic plays or nonsense poetry. There are people who read murder mysteries by the stack and people who curl up in bed with a romance novel every week. Readers who would follow Lucy Pevensie into Narnia, and readers who would rather donate their entire bookshelf. And, you know what? That's a good thing. It's great that you know what you like and you shouldn't let anyone tell you otherwise! That said, if we always stick to genres, writers, and series that we know are safe, we're bound to miss books that we'd love. I cannot believe I'm saying this, because I hate change with a passion, but sometimes it's - *shudders* - good to step out of your comfort zone. Different people read at different rates. Some people read one hundred books a year. Others read one a month. If you don't have a lot of time to read, you might be reluctant to inject some variety. After all, if you don't enjoy it, you've wasted your reading time. 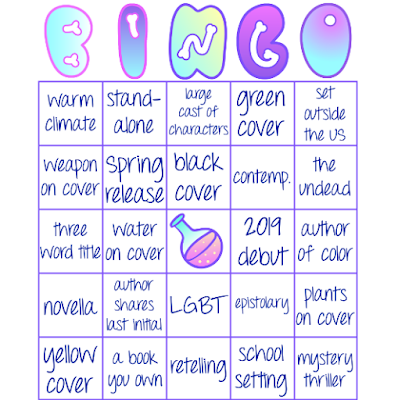 But if you've had a couple of one or two star reads in the genres you love, a palette cleanser might do you some good. A good place to start might be borrowing a book off a friend or relative. Trust me, most of the darker manga I've read, I didn't pick out myself. Ditto most of the murder mysteries. Borrowing books costs nothing, and it gives you someone to discuss the story with. If you're not comfortable with borrowing books (because I know an awful lot of bookworms who flee at the very idea of lending books out), you could try your local library. Check out shelves you wouldn't normally and pick up the first book that sounds appealing. You just might find a new must-read writer. A new favourite fictional couple. A new type of hero to follow into hell. How often do you step out of your bookish comfort zone? I feel like I say this every other post, but, once again, I am late to the party on this one. 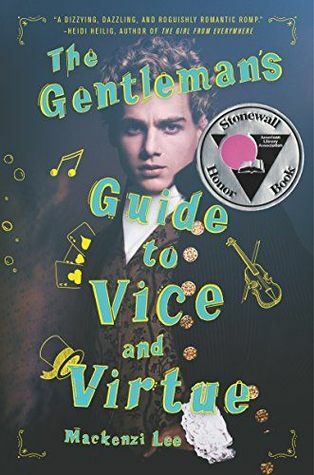 The Gentleman's Guide to Vice and Virtue is supposed to follow Monty, Percy, and Felicity on their grand tour of the continent, but one hundred pages in Percy makes a questionable decision and the tour is promptly hijacked by an adventure novel. 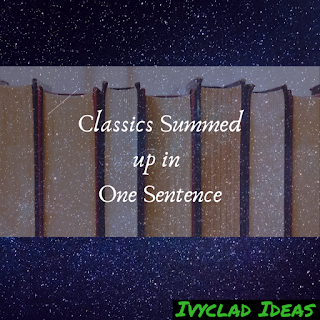 I don't read a lot of historical fiction, but I do love history, and a module I took at university gave the eighteenth century a special place in my heart. 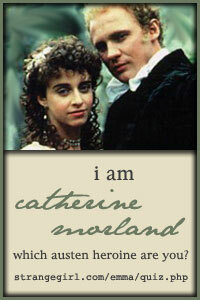 When Felicity mentioned Eliza Haywood's amatory novels, I almost hit the roof! The version I read had a section about the historical time period in the back, with lots of details about where Lee drew her inspiration for her characters. None of them are conventional for the time period. Monty is bisexual and strongly implied to have PTSD from domestic abuse. Percy is gay, biracial, and epileptic. Felicity is a woman who longs to study medicine. One thing I loved about this novel was that it didn't shy away from the context of the time period. Lee didn't rewrite history to suit her characters, she dropped them into the eighteenth century and asked how people would have responded to them. Despite it's handling of a number of contemporary societal issues, the book remains a lighthearted romantic comedy. I found the plot dragged a little for me once they went looking for the panacea. It didn't help that Percy was obviously not interested in it. Anyone could see that, but apparently not Monty. To be fair, his major flaw was selfishness. At least we got a complicated villain out of it in the form of Helena, who was, as all my favourite villains seem to be, driven by love. Not romantic love either. The romance was the type of will they/won't they drama that makes you want to throw the book across the room. And I say that with love. It's not that it's a slow-burn, given what happens early on, but there's a lot keeping the characters apart. Monty's mouth, for one. And two. And three. And - well, you get the picture. I suspect everybody reading this review has already read the novel, but if you haven't and you fancy a romp through historical Europe, this is the novel for you. Read any historical fiction recently? I'm beginning to think that banging your head against a blank Word document when you're burnt out doesn't actually help. Same with a blank blog post. I am, however, still alive, and staggering into April, hoping that soon I will be able to find joy in things again. 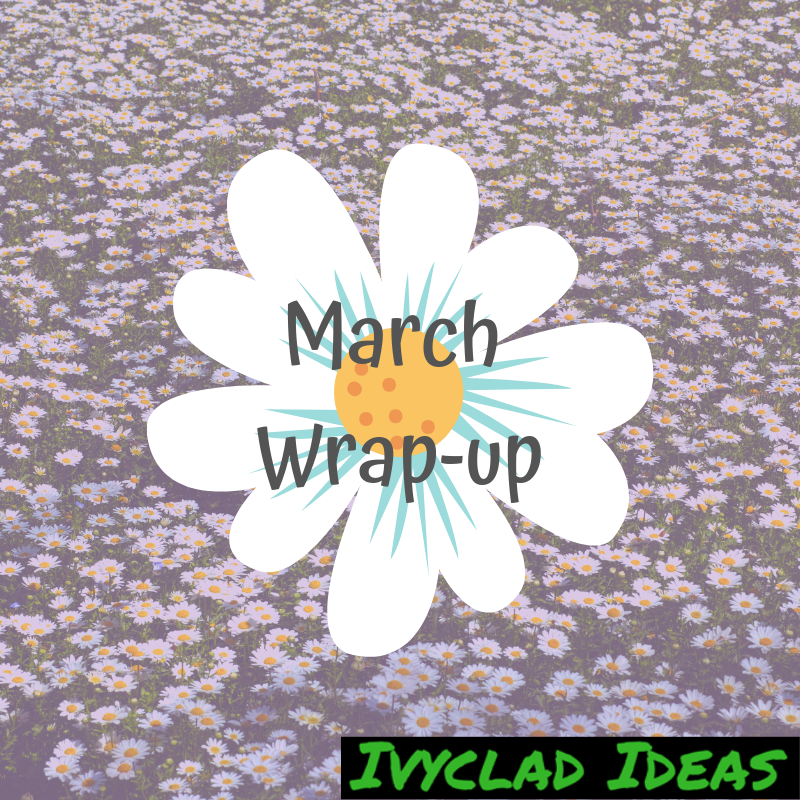 With that cheery thought, let's take a look back at March. This month I read five books. You may be wondering when book reviews will return from the war. Honestly, so am I. 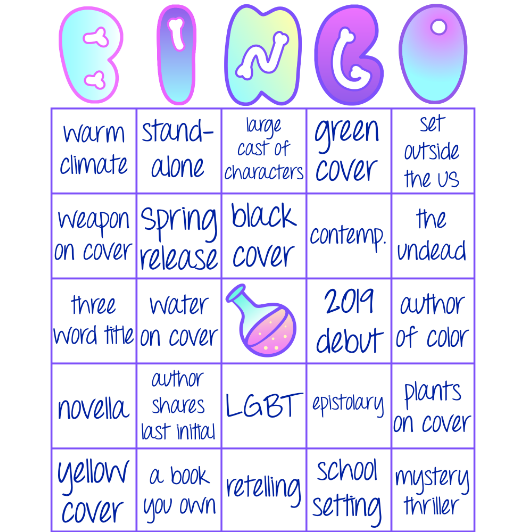 It's been a while since I've taken part in Becca's Bookish Bingo. Time to rectify that. The spring board is here! If you want to take part, head over to Pretty Deadly Reviews. 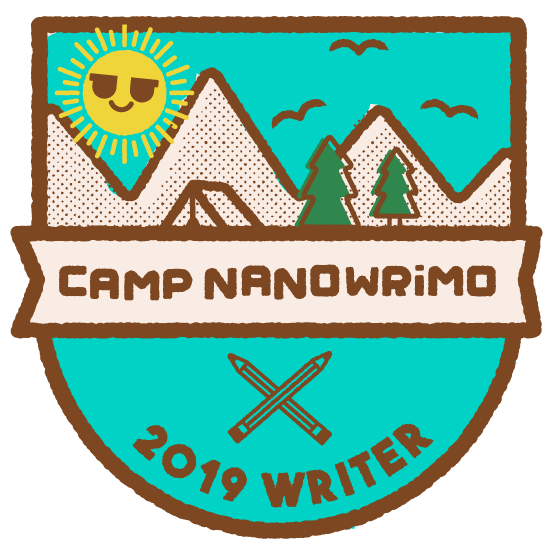 I'm taking part in Camp NaNo this March, partly writing and partly revising my Gothic-inspired YA urban fantasy. The reason I'm partly doing both is that I actually have a really long, mostly finished draft, but I had no idea what to do with the climax. Now that I do know what I'm doing, I have a lot of things I'd like (and also need) to change. Anyone else planning on doing it? Maybe we could share a cabin. The new season of Buzzfeed Unsolved has started on Youtube. And it's True Crime! Season five of Brooklyn Nine-Nine is now on Netflix, so why are you here and not there? Alita: Battle Angel is on it's way out of cinemas. If you haven't seen it, I strongly recommend it. It can't pick a genre (is it a cute teen romance? A sports story? A dystopian sci-fi? Who knows!) and it can't pick a plotline either, but my God is it fun. It's one of those films where you watch the action scenes with a massive grin on your face. Alita is found in a scrapyard by Dr Ido and put into a new body. She's a full-replacement cyborg, meaning that everything but her brain is cybernetic. Unfortunately, she can't remember anything from her life before. This makes her pretty naive to start off with, but she likes dangerous sports, and dangerous boys, and she really doesn't like to lose. Whether it's sports or life and death combat, it's a game and she's winning. The best scene in the whole film involves her going into a bar filled with badass hunter-warriors (bounty hunters) and taking them all on. She's good and she knows it. You can't help but root for her. The side characters aren't particuarly well-developed, but Hugo, Alita's love interest, has just enough character conflict to be interesting. Dr Ido rubbed me up the wrong way because he didn't know her, he didn't know her life, and here he was trying to control her because of his own inability to let go. But he gets better. Vector's pretty bland, and Nova's a mystery, leaving Dr Chiren to be the best villain of the film. You will end up sympathising with her. Just give it time. The world-building is immersive and the visuals are beautiful. All of the sky cities except Zalem fell three hundred years before and everyone in Iron City - and I mean everyone - aspires to go there even though they have no idea what it's like. Through manipulating those desires, Vector effectively rules Iron City. There are no police on the streets, leaving registered hunter-warriors to fight crime. They're mostly motivated by greed. No superheroes here. A lot of the people there are cyborgs and their character designs are awesome! Their fighting styles are all unique too. To sum up, if you like huge fight scenes, heroines who like to get their hands dirty, and gorgeous visuals, you cannot miss this. You cannot. Have you seen Alita: Battle Angel? Half the teenagers in Verona die because somebody took a rebound crush too seriously. There is a monster and a doctor and they are both named Victor Frankenstein. 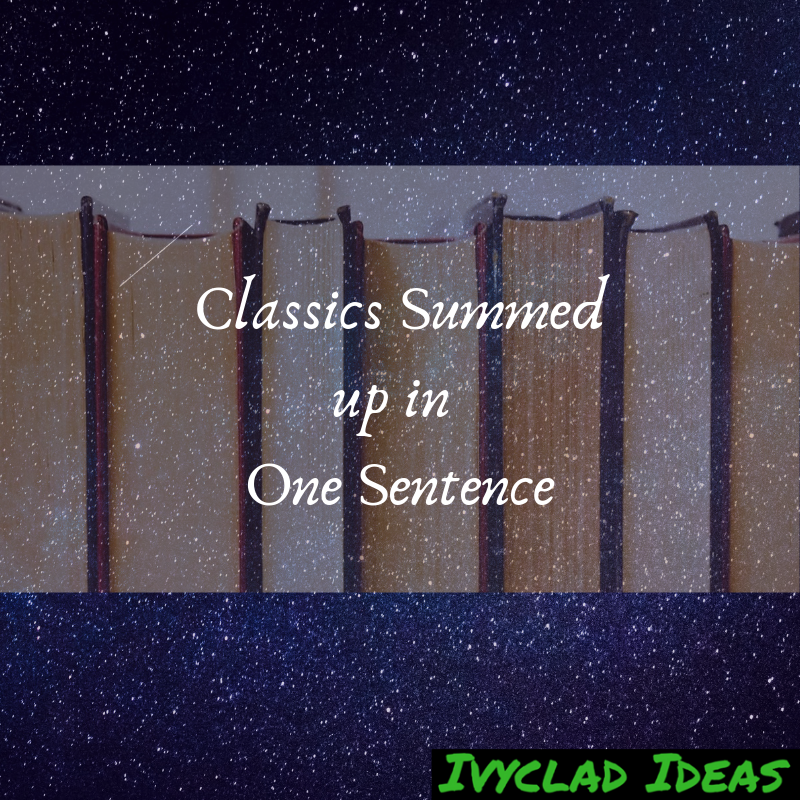 Cathy and Heathcliff somehow manage to torture each other for 500 pages even though one of them kicks the bucket halfway through. The fictional case of Jarndyce and Jarndyce is unnecessarily long and boring, almost as unnecessarily long and boring as this novel. I concur with John Steinbeck. Spiting a relative is always a good reason for marriage. 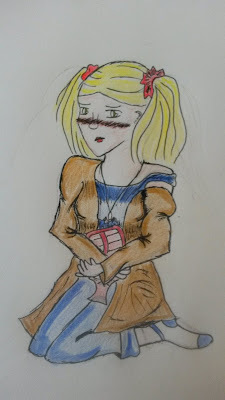 I am physically incapable of writing an interesting female character unless they're a villain. Please let these never ending pastoral descriptions distract you from the fact that this virtuous woman has to die. I have post-partum depression and men are not helping. Father, I wish to marry a man who is so much more like a brother than a lover to me that a future film adaptation will literally make him my stepbrother. Sum up a classic in a sentence. Go on. It will make you feel better. People were on the beach a few days ago. In Feburary. That has to be a sign of the apocalypse. Have you seen the new tabs on the Goodreads stats page? You can now see how many books you read in a month and how many pages. 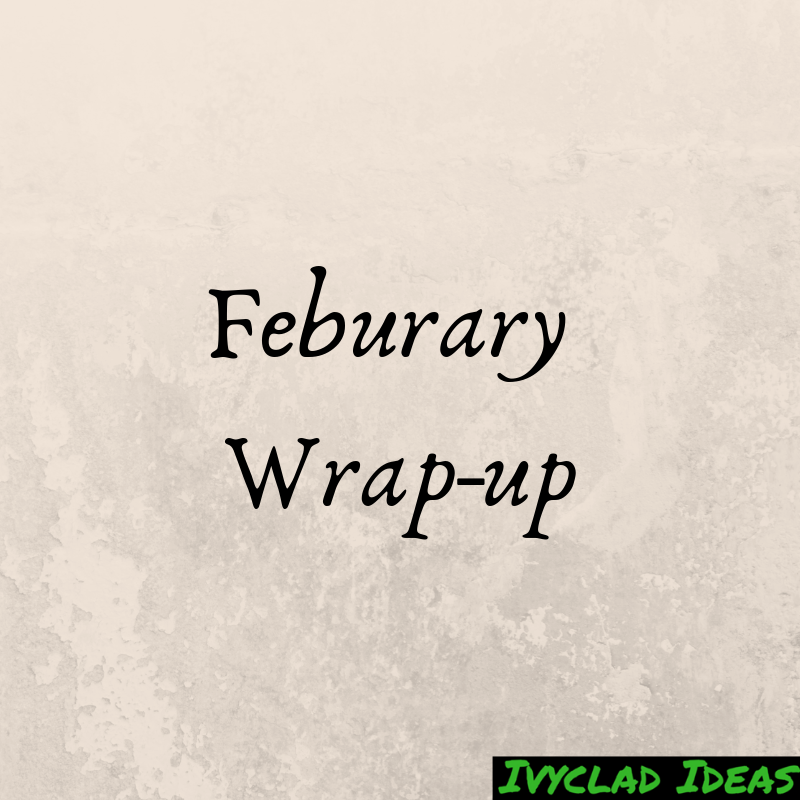 No longer do I have to open the pages of random books to check the dates I finished them when making wrap-up posts! 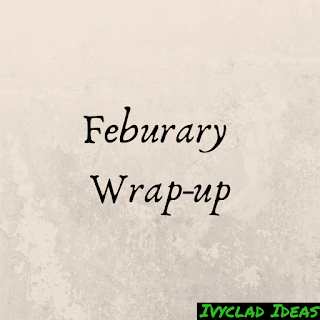 This month, I read five books. I've only posted twice this month because I am in the middle of an inspiration drought. 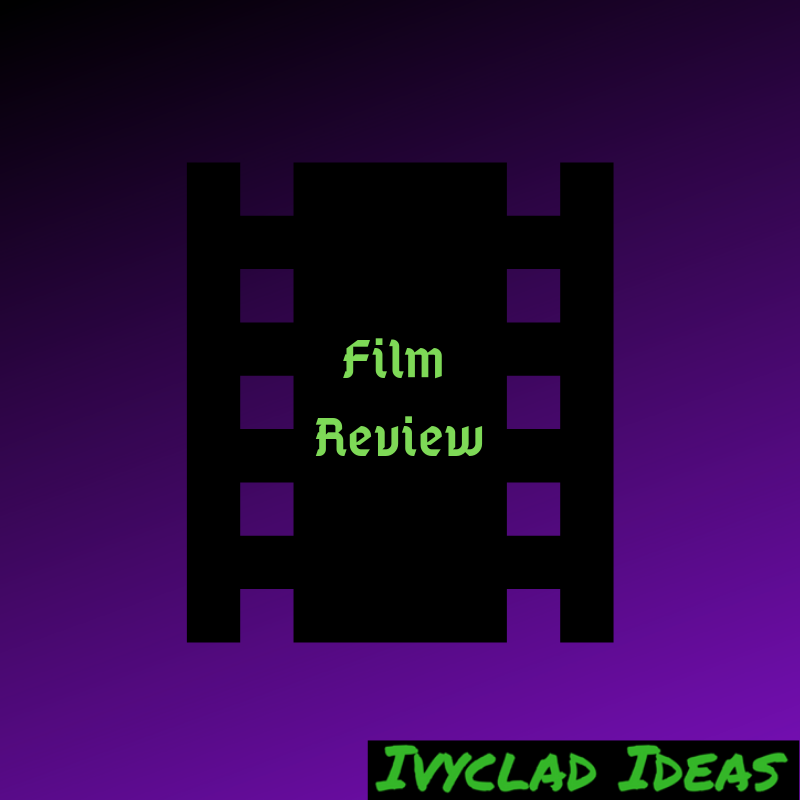 If anyone's looking to try anything collaborative, I'm open to suggestions. 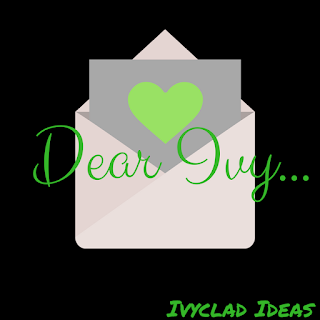 For anyone who missed it, I posted my second installment of Dear Ivy. It's a fictional advice column which I've been posting as a Valentine's Day feature since last year. Colouring's a bit scrappy, but here's a little something I drew the other day. MAGGIE STEIFVATER HAS ANNOUNCED THE FIRST BOOK OF THE DREAMER TRILOGY! It's called Call Down the Hawk and it comes out on the 5th of November 2019. Mark your calendars, guys! My life has been one long trauma. First, my parents were brutally murdered before my eyes. Then, I found out that I was, in fact, from a faraway planet. A faraway planet that has been destroyed five different ways by five apparently unconnected organisations. Soon after the discovery, puberty brought with it a slew of fantastical powers that left me feeling like an outcast. I thought if I used them to help people, they'd start to like me. Instead, I've been kicked off five different teams, blamed for the end of the world (twice), and accused of causing a number of scheming supervillains to spring up. I thought I'd hit rock bottom when my fifth sidekick died (I really liked that one), but, barely a week later, the love of my life went missing only to turn up in my fridge. I have one question for you, do you want to be front page news? Seriously. I don't know what it is with superheroes and journalists, but it's like you're all looking to be exposed. You don't say how long you've been with this woman, but I get the impression that it isn't long. Ask yourself this, how invested do you think a well-adjusted, professional woman is in a relationship - I don't even know if I should call it a relationship. Have you had that conversation with her yet? - with a man who deals with his issues by dressing up in spandex and punching things? Publishing your identity could do wonders for her career. Do you honestly believe that she isn't going to give you a hug and leave as quickly as possible to call her editor? This is going to sound terribly convoluted, but I don't think my boyfriend is who he says he is. It all started last week, when my beloved Aunt Agatha was murdered. They found her body at the bottom of the stairs - frightful shock, it was - and the police said that she'd been pushed. Naturally, it happened during a family party so everyone was present. Since then, he's been acting...strange. Intercepting letters before the servants collect the post. Sneaking off at all hours of the day and night. Becoming defensive when asked where he's been. He's hiding something. What could it be but his own responsibility for the murder? I don't want to accuse him - the idea that he would even consider hurting her is poison to me - but I can't trust him. Not when he's acting like a stranger. There's no easy way to say this, so I'll start with the good news: your boyfriend is (probably) not a murderer. Now for the bad news. There's a very good chance that he's cheating on you. I would wait to confront him about his suspicious behaviour until after the murderer is discovered. Just in case. Want more questionable advice? 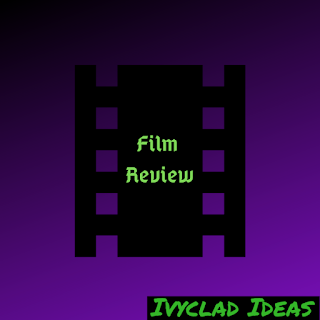 Check out Dear Ivy... (2018). Hannah | 21 | Thinks stories should be about hope, but always seems to end up with dead parents, dark secrets, and haunted heroines. Reads a lot, writes a lot, thinks nerd and geek are terms of endearment and uses them liberally. Hannah (Ivyclad Ideas) has read 1 book toward her goal of 75 books. 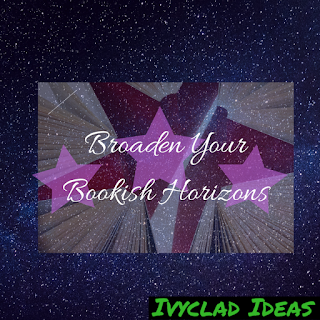 Share book reviews and ratings with Ivyclad Ideas, and even join a book club on Goodreads.